Its imposing embattled apses are pictured in the famous painting “La Pietà con tre angeli” (Pity with three angels) by Antonello da Messina, exhibited at Museo Correr in Venice. Built in 1254, the church of San Francesco was part of the first religious complex of the Order in Sicily, erected in honour of the saint 28 years after his death according to the will of some noblemen from Messina. The dedication to the Immacolata came afterwards and can be explained by the strong devotion of the town to the Marian cult. Just the apses escaped the collapses of 1908. The building was rebuilt, but moving it a few metres, to leave space to the revenue offices. After the new damages of the bombing, it was remodelled in 1954 and reopened for worship. 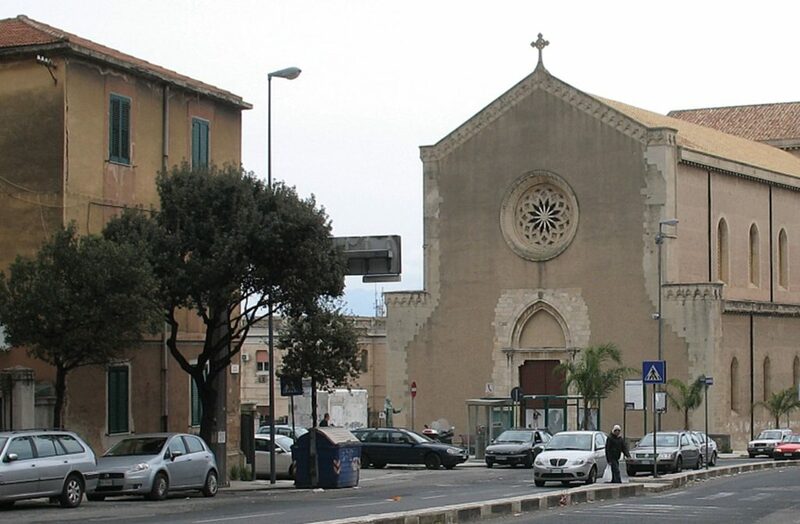 In 1965, in the square of the church that has a large rose window on the facade, a bronze statue of San Francesco (Saint Francis) by sculptor Antonio Bonfiglio from Messina has been placed. Inside, part of the polychromatic floor is the original one. The silvery eighteenth-century statue of Immacolata is valuable.